Thanks to the coming together of two finest craftsmen Suriya and Vikram Kumar for the first time, expectations among the fans are sky high on the upcoming sci-fi thriller, 24. Already, the three first look posters which showcased the three shades of Suriya’s character in 24 took the curiosity levels to an all-time high. Now, Tamil media circles have been abuzz since this morning with the reports of 24’s teaser launch date. Celebrating its title, this most eagerly awaited film’s teaser will be unveiled on February 24. Samantha and Nitya Menen will be seen as the female leads in 24. 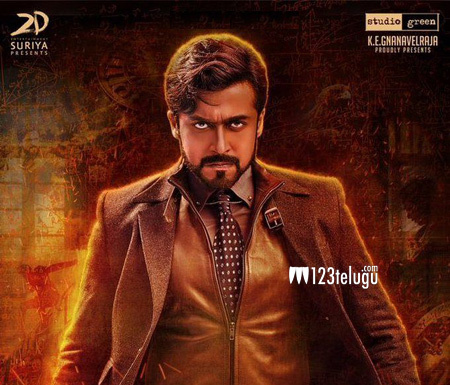 Suriya himself produced this Vikram Kumar directorial on his 2D Entertainment banner. The film is expected to release in April as a Tamil New Year gift for fans.